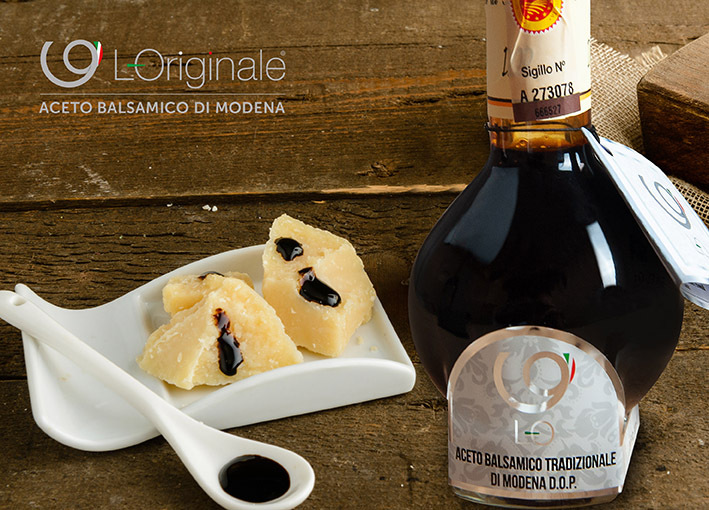 Hand-rolled gnocchi with Original Balsamic Vinegar of Modena is a delicious first course! Keep on reading to discover how to prepare this super tasty Italian dish! Heat a non-stick frying pan on low-medium heat. Then add a splash of olive oil and the pre-blanched gnocchi, spreading them across the pan and begin to heat. Cook the gnocchi for about five minutes until they are golden brown on both sides . At this point, turn the heat up to medium high, but be careful not to brown them too much. Add butter and let it brown for about 3-5 minutes. Then cook the shelled peas for 2-3 minute in salted boiling water and then refresh in ice water. Once the butter is browned, remove the pan from the heat and add the cooked peas and lemon juice to taste. Then, using a large spoon, divide the gnocchi into serving bowls. At this point add small dollops of whipped ricotta onto the gnocchi, and finally springle them with Traditional Balsamic Vinegar of Modena. To add a final touch, place pea shoots or rocket leaves on top. Now finish each plate with a generous grating of Grana Padano and the hand-rolled gnocchi are ready to be served!